OmniVision receives Australian Achiever Award for the sixth year in a raw. Over the last two decades, OmniVision has pioneered the Australian security industry providing tailor-made electronic surveillance and security solutions. Our customer’s satisfaction is our ultimate goal, which is why they recommend us to their peers and colleagues, which in return builds an extensive company portfolio that is regarded as an influential figure in the market. We are delighted to announce that for the sixth year in a row, the Australian Achiever Award for the year 2018 has been presented to OmniVision in acknowledgement of our excellence in customer relations. 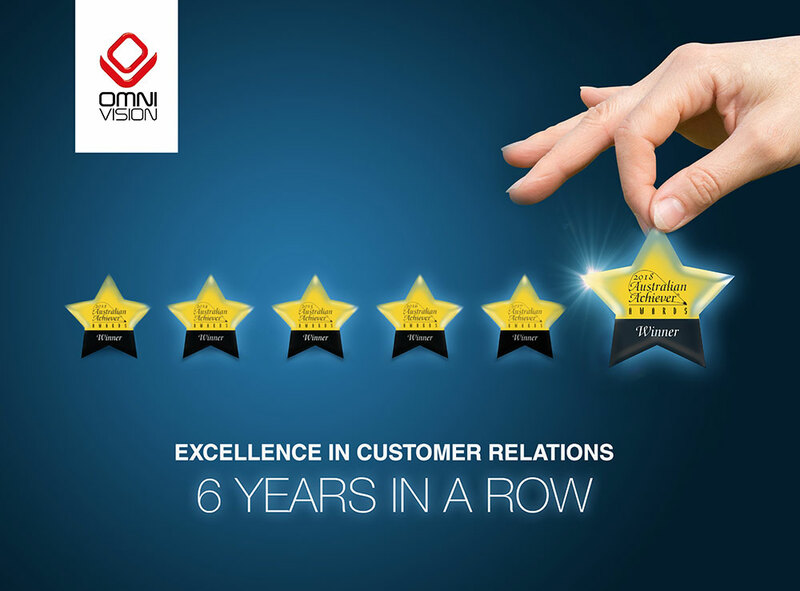 Built on the principle of innovation, achievements and satisfaction OmniVision has strived each year to achieve a higher rate of success and continues to be recognised by our peers and industry partners for our constant contribution towards the business and economy sector. We work to build a future that is safeguarded and secured. A better tomorrow, starts here.